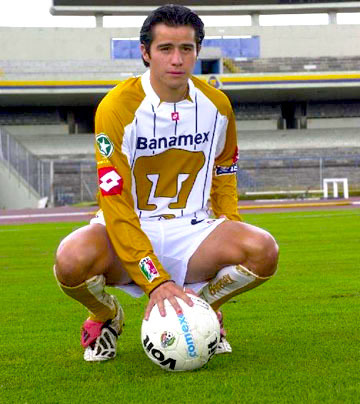 Ricardo’s career began in Mexico in 1998-1999 with Club Chivas of Guadalajara, in its professional 3rd division team in the Cuernavaca, Morelos extension. 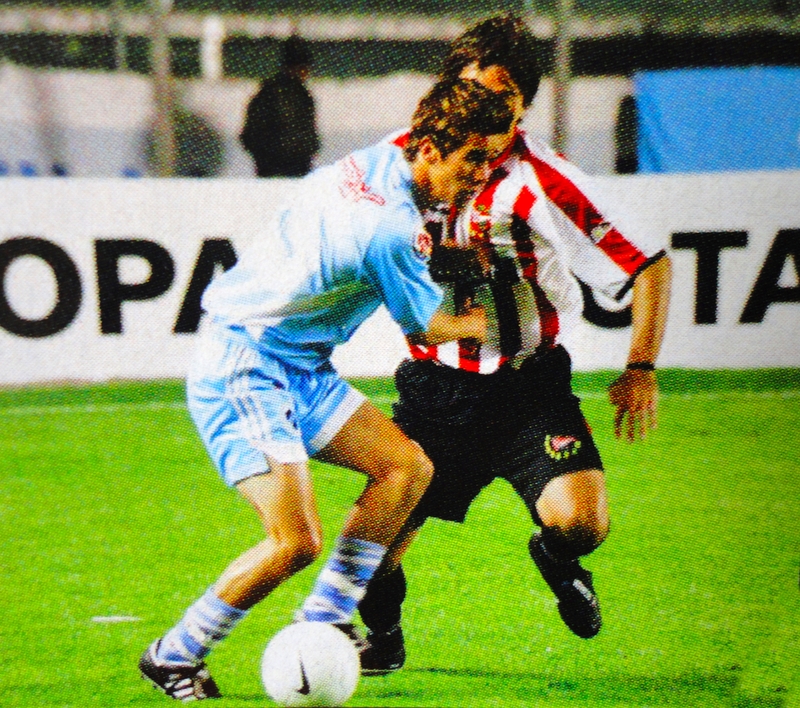 Later he became part of the “Red Devils Team” of Toluca’s 2nd division, playing in the 1999-2000 season. His abilities brought him to First Division “A” in 2000-2001 within the same club. 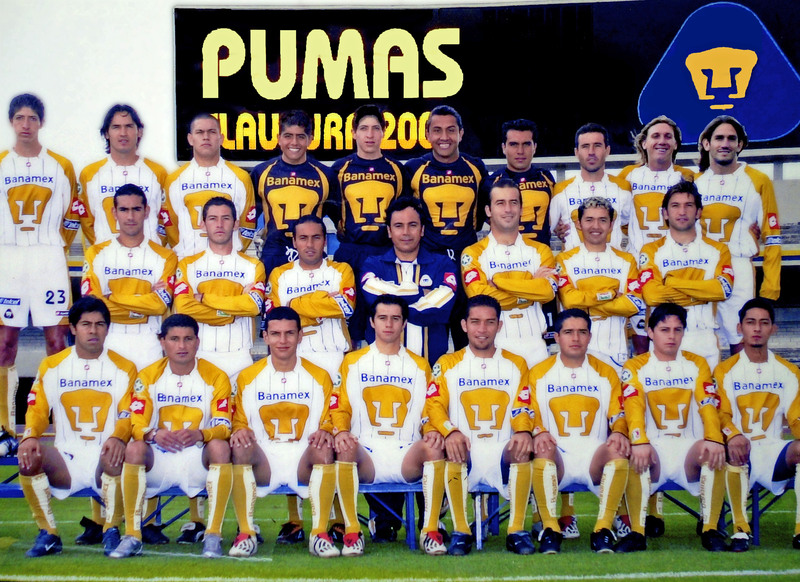 Later on, the icon of the UNAM (National Autonomous University of Mexico), Professor J.J. Muñante invited Ricardo to be part of the Pumas “Cougar’s” UNAM professional team, which led Ricardo joining in the 2nd. Division team from 2001 to 2003. His talent was soon noticed by five times “Pichichi” winner – Best Goal Score Player of Spain (Hugo Sánchez Márquez). Under his wing, Ricardo debuted in the Professional Division 1 team in 2003. In his second season with the Cougars, the team achieved what no other club team had achieved: They were crowned in 2004 as two-time winners in two consecutive tournaments. In 2006, A Soccer scout from Bolivia noticed Ricardo’s talents, and soon after contacted and offered Ricardo the opportunity to sign onto the best team in the country “El Bolivar.” Once again, Ricardo got to be part of a winning strike. The team went on to win the league title and play Libertadores de America Cup and La Copa Aerosur. Followed by such success, Ricardo then returns to Mexico with a new mission in mind: to surpass the maximum level of the newborn Pumas-Morelos 1st. Division A-team until 2008. That same year, Ricardo travels with the team to Buenos Aires, Argentina to play in the “Club Temperley”. His strong will and desire to continue learning South American soccer take him to Uruguay, where he plays for “Club Colonia” Here he is considered to be one of the best foreigner players in the league. Ricardo is then hired in 2010 by the “Club Tacuarembo” Uruguayan 1st. Division team. They play the “Carlos Gardel’’ Cup. Coach and acclaimed goalkeeper Miguel Angel Comizzo signs Ricardo on his return to Mexico and plays for the ‘Gallos Blancos; of Querétaro, where he stays until 2011. After this long experience in the field, Ricardo begins to think deeper about his career; He soon comes to the realization that as Technical Director; he would be able to continue in his field and be able to help younger men fulfill their dreams to become professional soccer players as well. After deciding to continue on this new path, Ricardo decides to emigrate and settle in the U.S, where he was aware of the rapid growth of soccer talent among young teens. 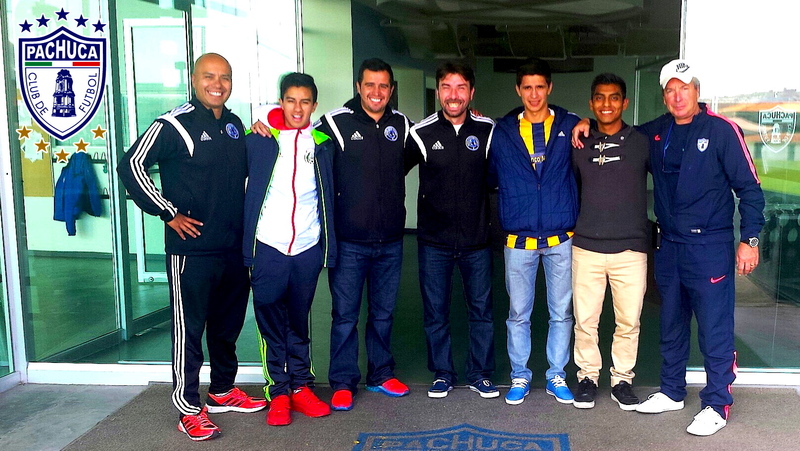 Ricardo began his studies as a coach while playing for Californian Soccer Team “Los Angeles BLUES” of the NPSL league. Soon after he joins the Chivas USA of the MLS-League, by the hand of José Luis Sola “Chelis”; Ricardo then decides to make a very important decision in his career; to end his career as an active player as Chivas USA is the final team that he plays for. All this was done for a bigger purpose; he then decides to open up a foundation, which would help open up doors to many talented young men. 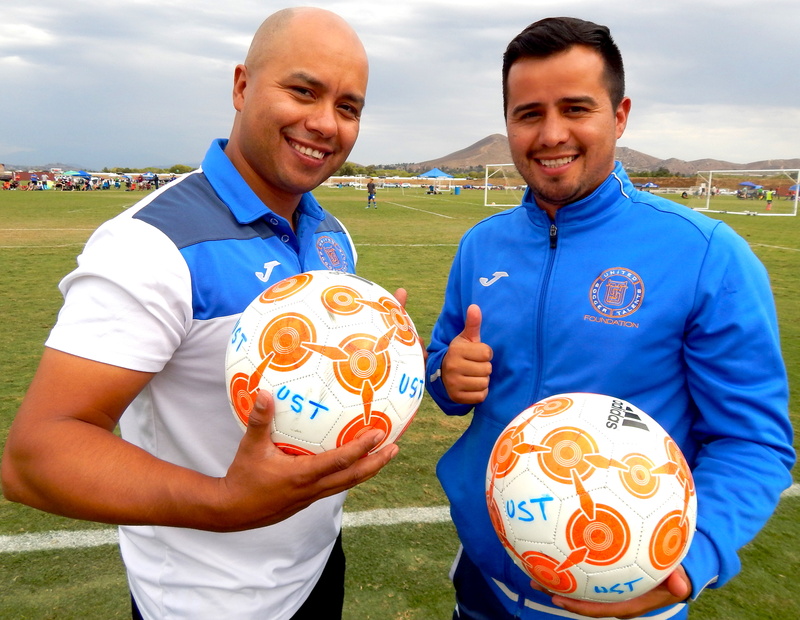 Now as Co-founder, Co-President, and Head Coach of United Soccer Talents Foundation, Ricardo is using his knowledge, experience, and contacts to help shape youth with values and promote the talent of North-American youth. GEOVANNY BALDERAS, Ricardo ’s older brother has two great passions in life: one is his love for Film and Television Media, and his second love is his passion for the soccer game analysis. His love for soccer was born through his brother’s professional career, and the many years he lived closely following it. Geovanny or better known by his friends and family has “Geo”, realized how exciting, but also exhausting and difficult it can be to succeed in the Soccer World. Geo’s passion for both subjects began at a young age, and together with his brother Ricardo. Both were unaware that they would build great things, and that their love for soccer and media would bring them closer to each other. Geovanny’s love for the Media Arts began since a young age, his last years in high school is when he decided not just to portray characters from stories, but to write his own characters and stories. After finishing high school he decided to go for better opportunities to the United States of America. Geovanny then moves to Chicago Illinois where he pursued his Film and television studies for three years. After finishing and earning his Bachelor’s Degree, Geo then goes back to Mexico City. There he enrolled at the Mexican Association of Independent Cinephiliacs, While there he was able to finish 3 Post-Graduate degrees: Directing, Film & Photography, and Soccer Technical Director. Soon after finishing his academic studies, he decided to put it all into practices; he then travels to Europe and South America to analyze soccer plays, techniques, and teaching methods of soccer Clubs. 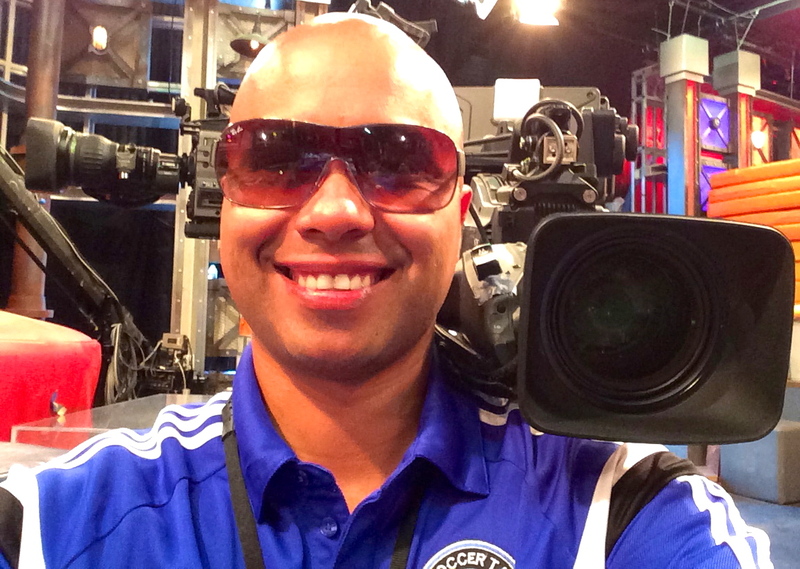 After his South American odyssey, Geo returns to Mexico to work in the Televisa-Network. There he began directing important television shows such as “Bailando por un Sueño”, “Cantando por un Sueño”; “Pequeños Gigantes” among many others. Following such great success, Geovanny decides to try for new territories; which, leads him to the entertainment capital of the world: Los Angeles, California. Destiny took them both, he and Ricardo then decided to embark on a new project combining their passions. This dream project had been in the works for years before, and now with their crossed paths in one, they decided to begin the UNITED SOCCER TALENTS FOUNDATION (UST-Foundation). Now, Geovanny Balderas as one of the Co-founders and Co-President of the UST-Foundation works by using his knowledge, experience, and interpersonal contacts to help shape the youth with values and promote the talent of North American youth. By working with their contacts from the past in their fields, we have been able to get UST players abroad, and we have also gotten them to start experiencing the life of a professional player. A delicate part for the youth to experience but also very rewarding is building a relationship with the youth and following their interpersonal progress. Getting to know them, their families and their dreams are just the beginning of our way to help them become better people to our society. Being with them step by step to guide, educate, and motivate them is an everyday important task. We cannot put into words how rewarding it is to see our youth become better people and players today than what they were yesterday. The support of great people like you keeps United Soccer Talents Foundation growing day by day.